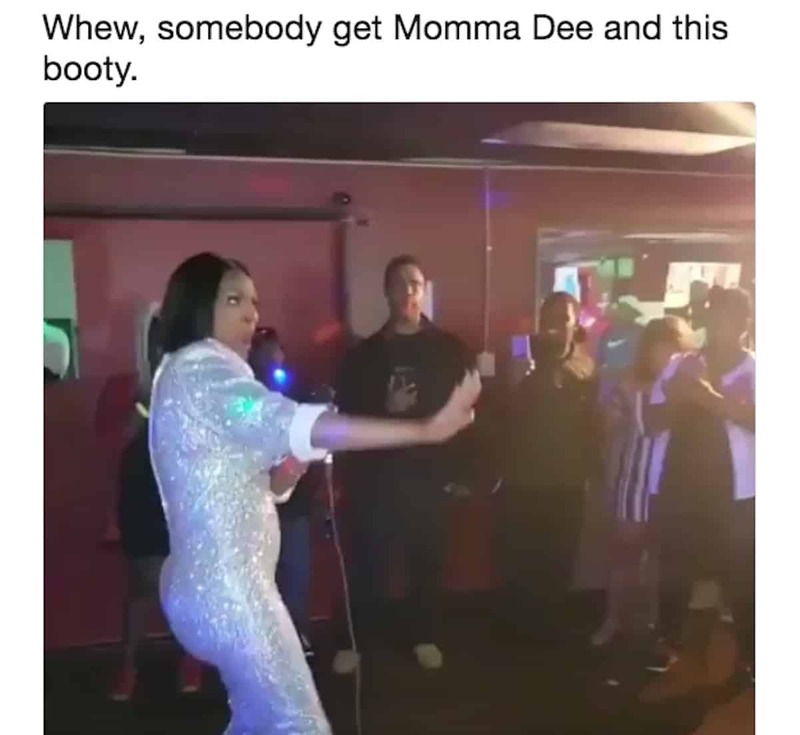 Love & Hip Hop Atlanta’s Momma Dee gave a performance of her “Bodak Yellow” remix, but most people were fixated on her brand new inflated booty! Watch the video here to see her cakes in motion. That k Michelle story didn’t teach them nothing. Why her arse still look flat tho? Aren’t they? This strange obsession with fake body parts is beyond disturbing. All for what too is what I wonder. They don’t look natural, they cost a grip AND shits detrimental to your health. Let’s not forget they are walking billboard for low self esteem which makes one an automatic target to lowlife and losers on the come up prowl. I’m sooooo confused by this. That rap style is not my favorite? That jump suit is cute? That low gravity booty is not? Shout out to Mama Dee for steadily putting out music unlike the other rappers on the show who are “always in the studio”.